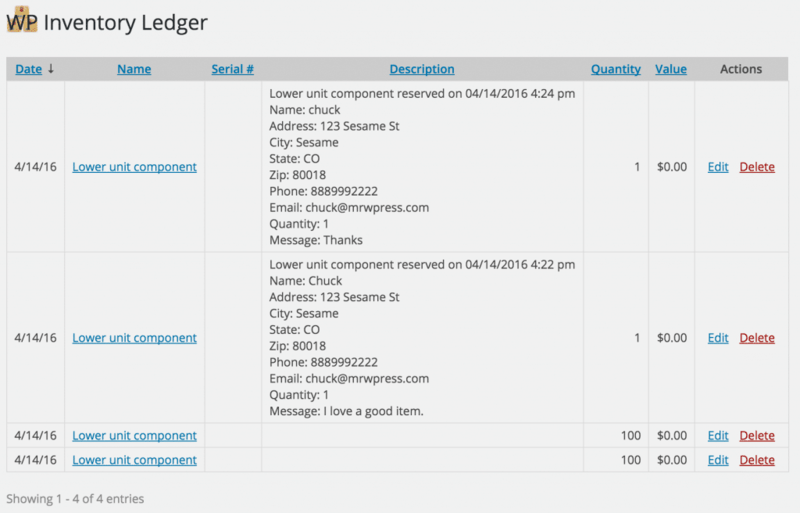 The Ledger add-on provides tracking and simple accounting for your inventory. Record increases, decreases, including the cost(s) you assign to the items. * Added number field to the ledger entry table. * Improvements in compatibility with Import / Export add-on. * Fix issue with reserve not saving item costs.